Beto O'Rourke loves to gesticulate. So much so that it's become a running gag about the newly declared 2020 Democratic candidate. President Trump was so "concerned" by O'Rourke's incessant hand gestures that he wondered aloud if something was wrong with him. Late night hosts are beginning to poke fun at O'Rourke's funny quirk too. In a new parody of O'Rourke's presidential announcement video, Jimmy Fallon somehow makes the Texan's announcement video even more animated. "There's not a dishonest bone in my body," Fallon's O'Rourke says. "Actually, there aren't any bones in my body." In the video, Fallon suggests that O'Rourke doesn't have much to offer the Democratic primary other than his energy. "So look, are there more experienced candidates out there with clearer policy ideas? Sure." Fallon offers another (albeit less subtle) critique of O'Rourke's lack of experience and apparent lack of agenda. His wild gestures have even been the subject of analysis for The Washington Post. "O’Rourke presented an athletic drill of upper-body movements that might exhaust a pep squad: pointing, fist shaking, arms crossing and Bob Fosse-like jazz hands." 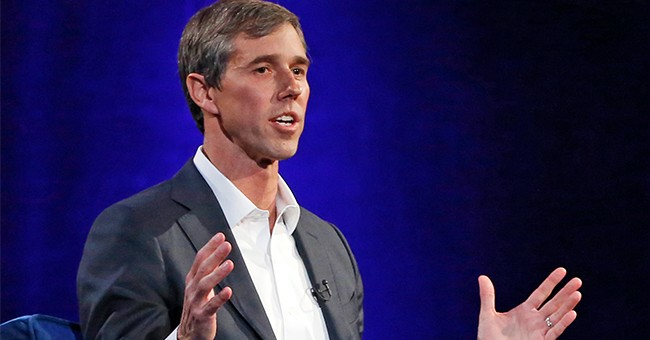 The piece quotes several body language experts, a few of whom argue that O'Rourke's expressiveness may actually be an advantage. Expressiveness can be an advantage, he added. “Deceivers typically omit hand gestures. They withhold information,” Givens said, like poker players. His expressive energy may actually be giving him a hand (sorry), because he just raised $6 million in the first 24 hours of his campaign. That's more than any other Democratic candidate so far.